The 6th Biennial ECHO Asia Agriculture and Community Development Conference will take place on October 3-6, 2017, in Chiang Mai, Thailand! Our conference theme "Improving Lives" expresses our desire to partner with you as we train, equip, and grow our network to impact the lives and livelihoods of farmers and their families across Asia. Speakers will share practical solutions to agricultural challenges, personal experiences, and strategies for improving the lives of millions who daily face the threat of starvation. The event offers an open exchange of information, connecting the people and ideas that can make a real and sustainable difference. Come join us for 3-days of plenary speakers, workshops, a poster session, paper submission and proceedings, and a seed exchange, followed by a 1-day site visit! The conference will be in English and Thai translation will be available. Day Package (conference only, no hotel). 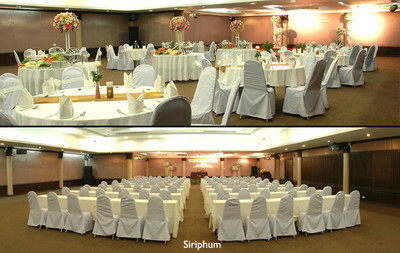 Package includes conference attendance, lunches, coffee breaks, site visit, and closing banquet during the conference. 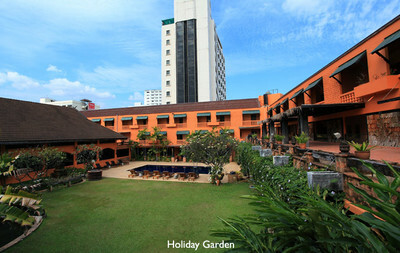 Our room block with Holiday Garden is now filled. You are welcome to register and attend as a day participant but must find your own accommodations. Bangkok Bank Transfer, Western Union or PayPal (credit card) options available. When you register, please enter your preference and we will send you an invoice with more payment information. 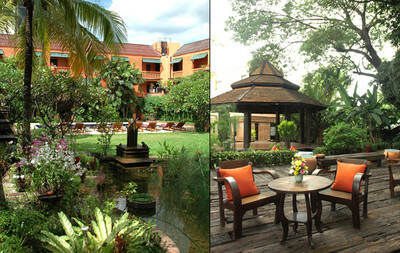 The Holiday Garden Resort is convienently located within walking distance of Chiang Mai's busy Nimmanhaemin district. Conference registration includes 4 nights accommodation however if you are coming early or staying late (up to 3 days before or 3 days after) you can book extra nights at the same conference rate of 900 THB per room per night (including breakfast). If you are interested, simply email the hotel (info@holidaygardenhotelandresort.com), introduce yourself and explain you are part of the ECHO Asia conference. Let them know the days you would like to book (in addition to conference) and they will confirm with you! 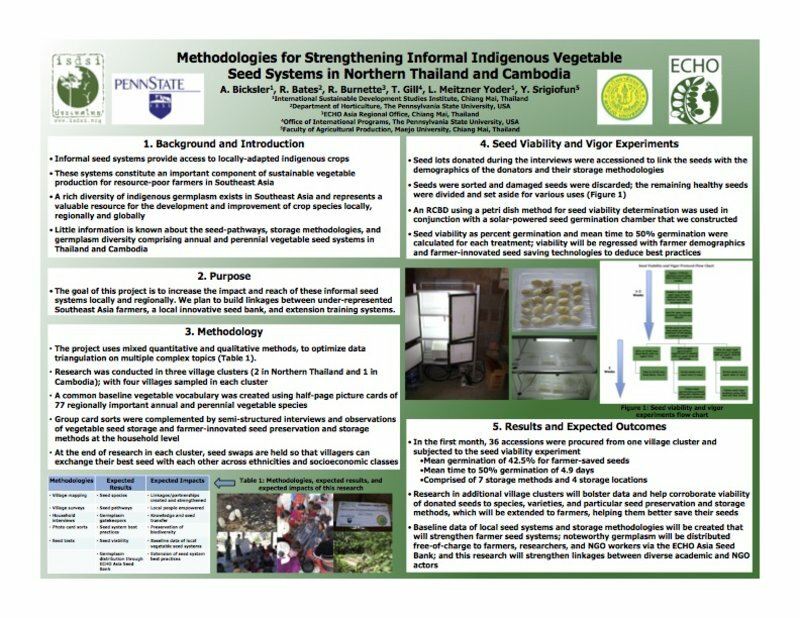 We are pleased to announce that our 2017 ECHO Asia Agriculture and Community Development Conference in Chiang Mai will feature a poster session. 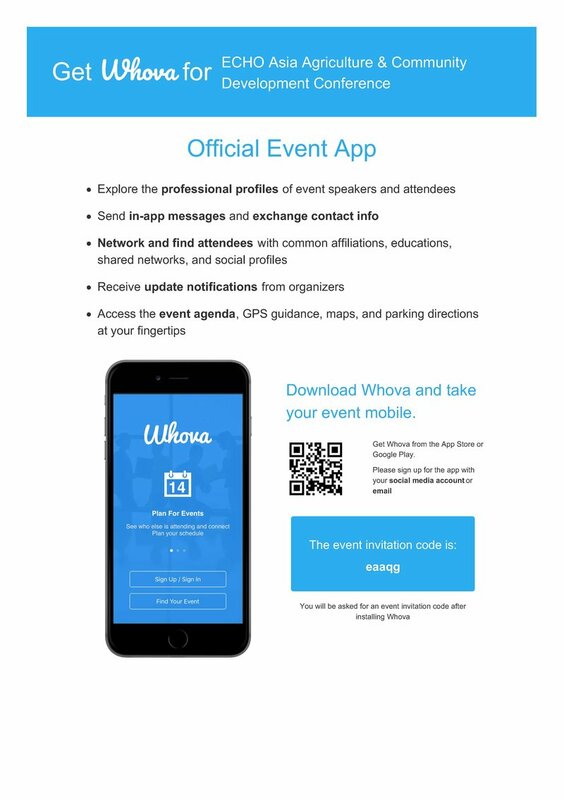 This will provide conference attendees with another way, in addition to a talk or workshop, to share and exchange information. If you plan to attend the conference in October 2017, please consider creating a poster for display at the conference venue. Your poster can then be viewed by other conference delegates at their leisure, as well as during designated times for poster presenters and other conference attendees to interact. There will also be an opportunity, during a late-afternoon or evening session, to give a five-minute oral summary of your poster. Please submit your poster abtract by 15 September to be included in the conference booklet. In addition to our poster submission opportunity, we will provide conference delegates with an opportunity to submit research papers for publication. For those that may be interested, this will provide conference attendees with an opportunity to publish their own research findings in a conference proceedings that will be compiled and sent out to the ECHO network following the conclusion of the conference.